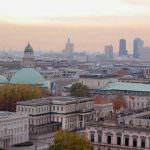 Looking for the best hostels in Leipzig? 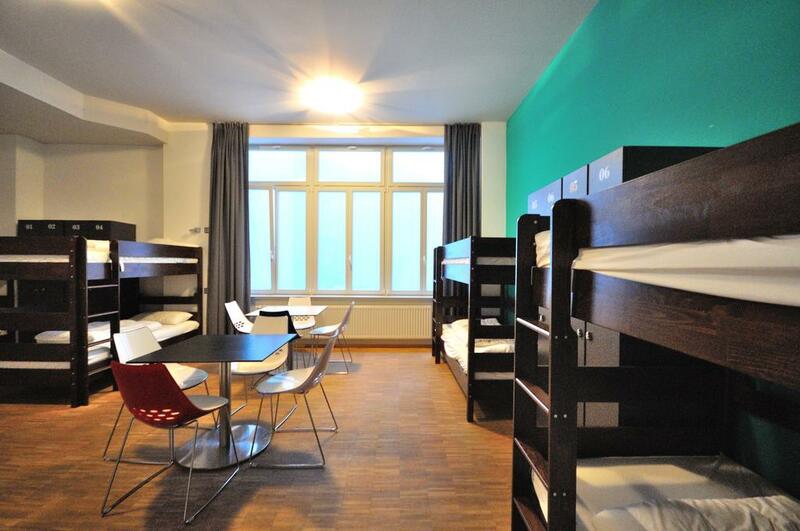 While there are a bunch to pick from not all Leipzig hostels are created equal. 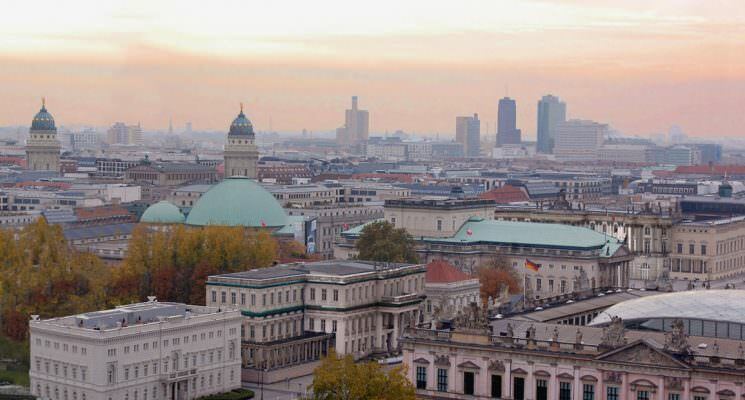 Leipzig is the biggest city in the Saxony region of Germany. It has been hailed as the “New Berlin” due to the mass movement of many of Berlin’s displaced young people – which has brought a creative and youthful vibrancy to this historic city. Leipzig is well known for its vibrant nightlife, so if you’re looking for a party definitely add this city to your list! Although it seems to be dominated by techno music, you can also find a variety of live music venues and chilled out bars to spend your evenings relaxing in. The best way to explore Leipzig is by bike, and this is how many of the locals get around. Hop on and mission to the outskirts of the city, where you’ll find the best beer gardens and food stalls serving traditional German dishes as well as cuisine influenced by Leipzig’s growing international population. If you’re vegetarian or vegan then Leipzig should definitely be on your list of places to visit as it is one of Germany’s most vegan friendly cities! 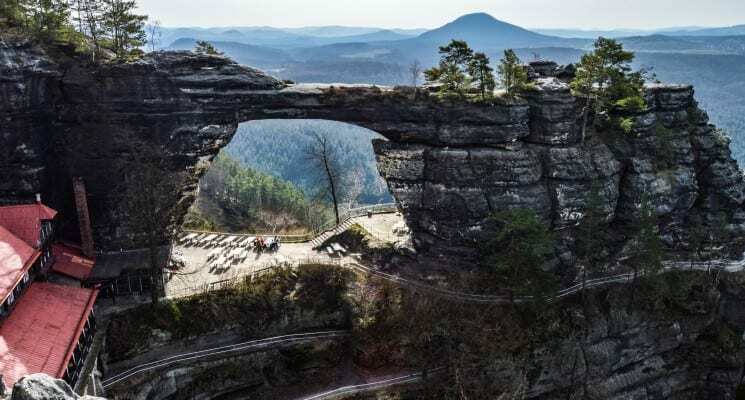 Fascinating history, exciting artistic and cultural scene and lively nightlife are just some of the reasons that Leipzig is becoming an increasingly popular destination for backpackers. In a city with so much to see and do, it’s important to find a Leipzig hostels where you can either get a good night sleep or meet some new friends to party into the early hours with. 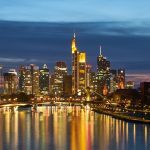 With that in mind we’ve compiled a list of the best hostels in Leipzig to narrow down your options! We have put together this list based on what we personally expect out of a great hostel in Leipzig. 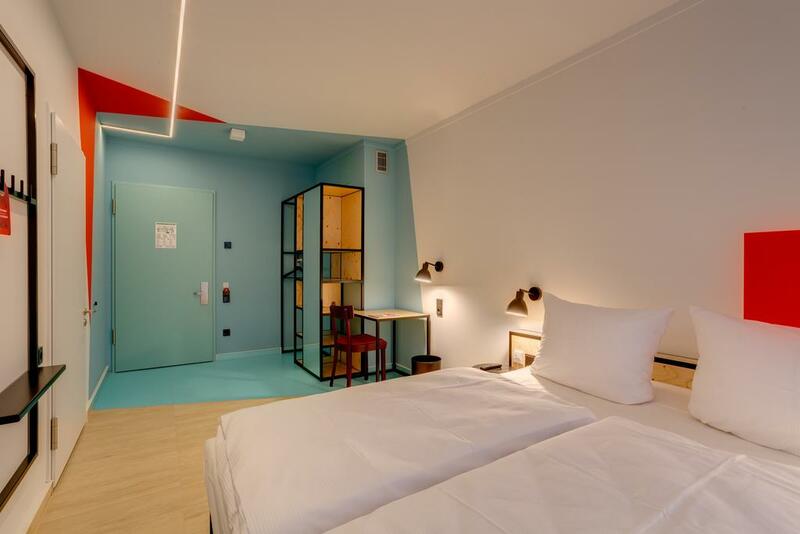 Clean rooms, comfortable dorm beds with power outlets, secure luggage storage, friendly atmosphere that encourages interaction (but doesn’t force it), and a communal kitchen are all super important aspects in our eyes, and we prioritize them when suggesting a Leipzig hostel. All of these are factors when it comes to making our selection of the best hostels in Leipzig! Fan of art? Looking for a unique hostel to call home while in Leipzig? Want a cozy and friendly atmosphere? Then head straight to Hostel & Garden Eden! 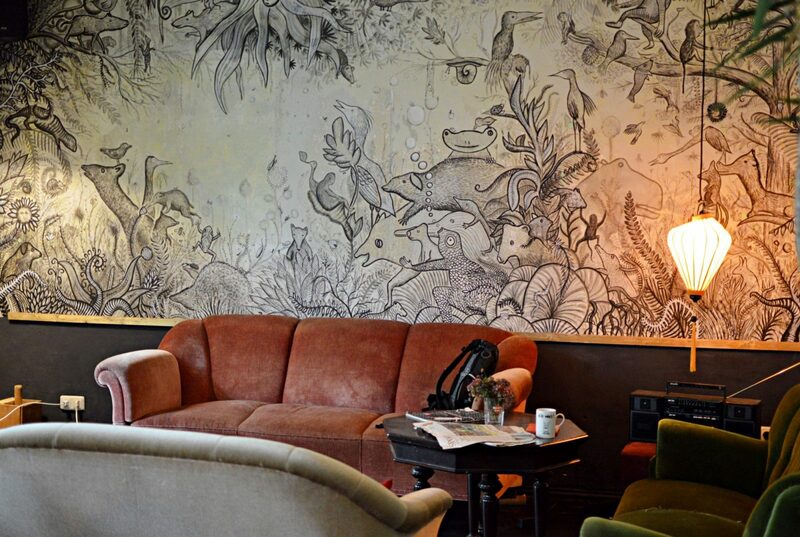 Located just 15 minutes by tram from the city center, Hostel & Garden Eden is an excellent choice for anyone traveling to Leipzig that wants a unique experience. 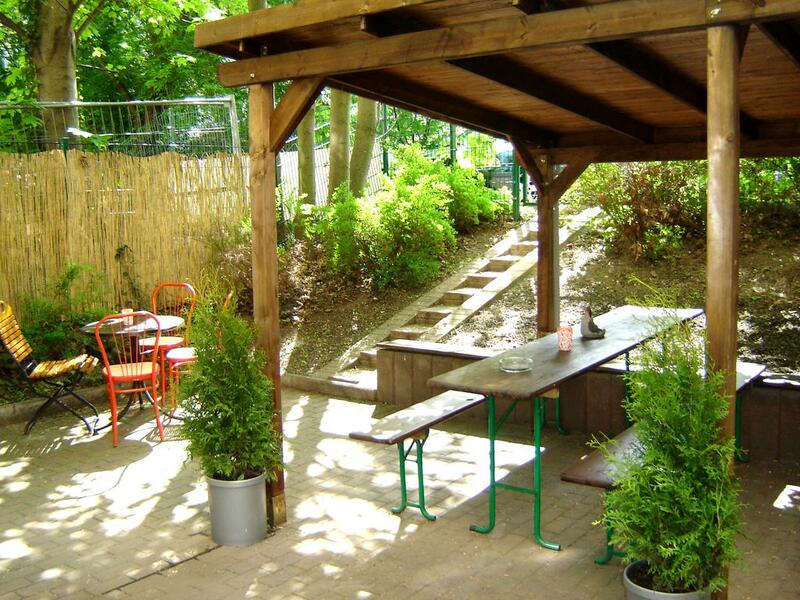 Each room in this Leipzig hostel is individually designed by a different local artist, the staff are warm and friendly, the communal areas feel super cozy and inviting, and the large garden is the perfect place to hang out and meet other travelers on warm summer nights. The hostel has a huge kitchen so you can prepare your own meals or snacks if you like, and there are free laundry facilities for guests to use. Beds are super comfy, outlets abound, and there’s always a free shower available in the shared bathrooms. Don’t be put off by the location either. At first glance of the map it looks like it is pretty far from the center. 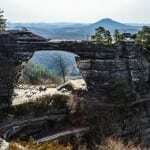 But, as mentioned, it’s just a short tram ride away from all the major attractions. Plus the neighborhood is pretty cool. Directly across the street from the hostel, for example, is a feminist bar with fantastic techno music. A few blocks away, a co-op vegan pizza restaurant called Pizza Lab that donates all of its proceeds to local outreach programs, and a little further away is one of the best coffee bars and roasters in the country. A fairly new contender on the hostel scene in Leipzig, Five Elements has certainly made a good impression on guests – it’s no wonder it’s rated as one of the best hostels in Leipzig on Hostelworld.com. Offering single, double and dorm rooms all for very affordable prices, Five Elements is a great choice for the budget traveler who is seeking a combination of comfort and atmosphere with their accommodation choice. Guests of this Leipzig hostel love the fantastic location right in the center of the city, which makes this hostel within walking distance to a variety of cafes, restaurants, bars and public transport options. 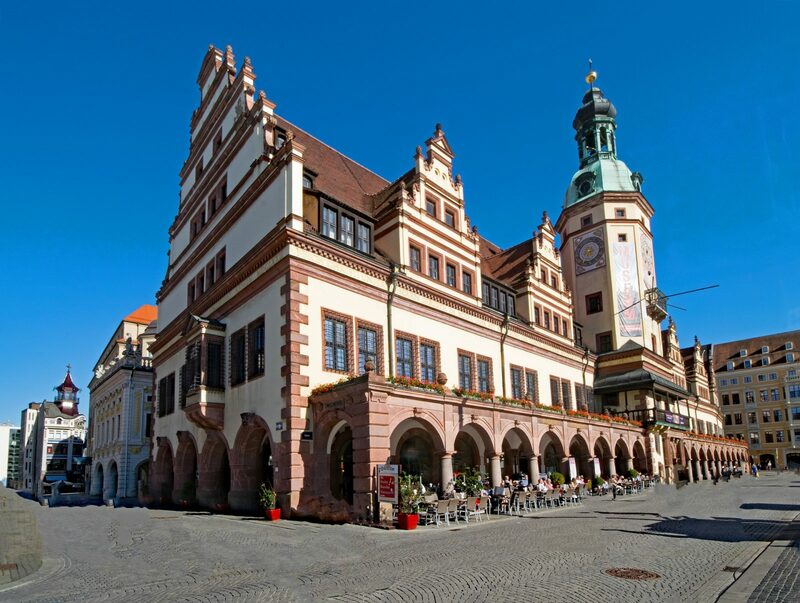 It’s only a 4 minute walk to Leipzig’s famous market square and St. Thomas Church. The rooms provide everything that a great hostel should: secure locker facilities, free linen and towels, private bathrooms and most importantly – comfortable mattresses! The staff at Five Elements are praised for being super friendly and informative, so don’t hesitate to ask if you have any questions about Leipzig or want some local recommendations for things to see and do. If you’re hoping to meet fellow travelers to explore Leipzig and all if has to offer with, then this is a great hostel choice for you. Join the conversation in the common area, chill out in the sun on the terrace, or swap travel tales as you cook a delicious meal in the shared kitchen. This great Leipzig hostel also has a bar and cafe on site, and they provide a delicious hearty breakfast in the morning for a small fee. If you’re looking for an affordable yet comfortable hostel with a convenient location, then Five Elements is one of the best hostels in Leipzig. 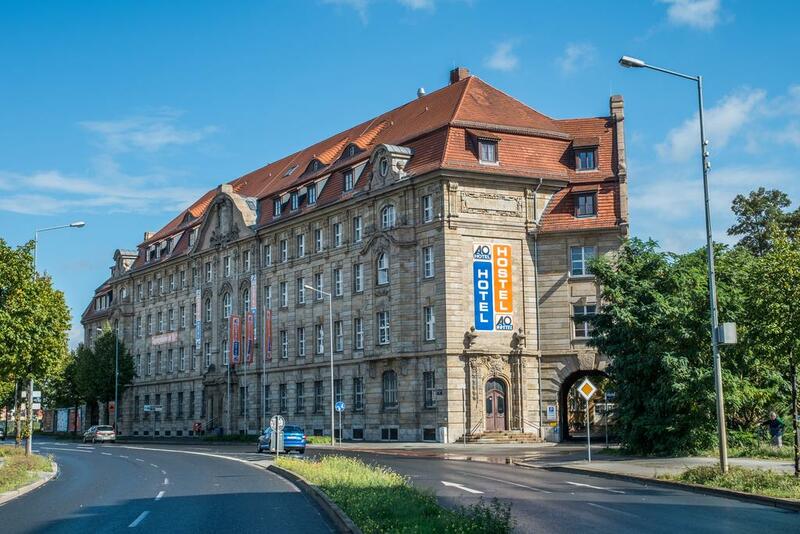 Located in a historic building directly opposite Leipzig’s main station, its ideal location is just one of the things that make A&O one of the best hostels in Leipzig. This beautiful building has been refurbished and transformed into a comfortable, spacious and modern hostel. A&O is surrounded by restaurants, shops and bars and Leipzig Natural History Museum are only a short drive away! 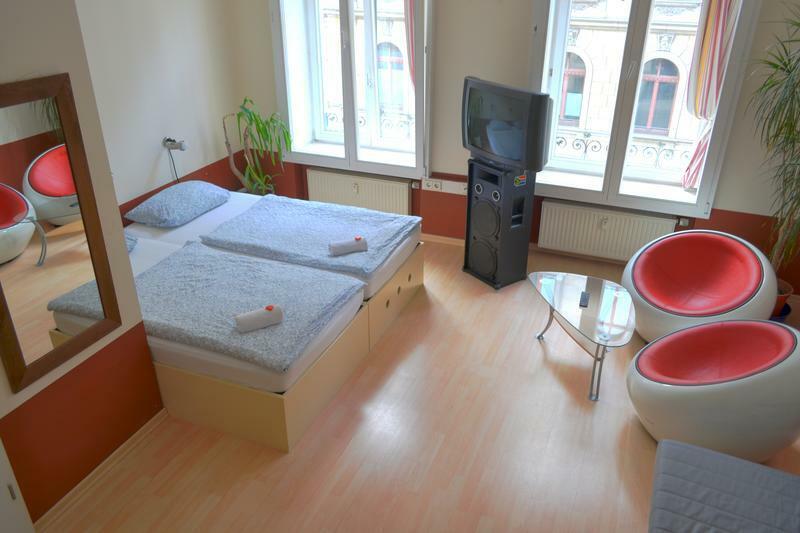 Offering a variety of private and dorm rooms, this great Leipzig hostel always ensures that a high level of cleanliness is maintained throughout their hostels. They offer rooms for families as well as solo travelers, and every room has its own private bathroom facility. Try their delicious all-you-can-eat breakfast buffet offering cereals, fresh fruit, coffee and much more for just €7.00! The approachable and friendly staff at the reception are always available to answer your questions, and they can also assist you with booking tickets for guided tours, such as walkabout and sight-seeing tours. The bar is a great place to socialize and meet other travelers! Located right next to the Leipzig Hauptbahnhof (central station), Central Globetrotter Hostel is situated in the perfect spot for exploring the city. 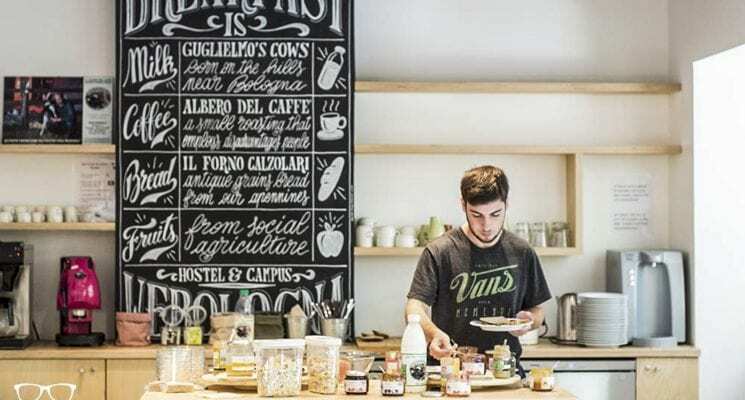 Something that makes this hostel unique is that it is climate neutral, meaning they are energy efficient and conscious about doing their part for their environment by reducing waste and excess consumption. This exceptional Leipzig hostel has a friendly and relaxed atmosphere, and if you’re a solo traveller then you probably won’t stay that way for long at this hostel. Relax in the leafy courtyard or get ready for the big night ahead in the 24 hour bar which serves great German beer all night long. One of the best things about this Leipzig hostel is that they really understand that sometimes the backpacker lifestyle can take it’s toll… and sometimes we just need to sleep in until… 12pm (nothing to do with having a hangover of course). So, in light of this they offer a late all-you-can-eat breakfast buffet which is open from 7-12 for only €4.00! All of that combines to make this one of the best hostels in Leipzig! Meininger Hostels are usually a sure win wherever you can find them in the world! Meininger Leipzig Central Station is no exception! Meininger is the perfect choice if you want to stay right in the centre of the city, and within close proximity to all of Leipzig’s major attractions. This hostel is surrounded by shops, cafes, restaurants and bars and gives you easy access to all of Leipzig’s public transport to make exploring the area a breeze. 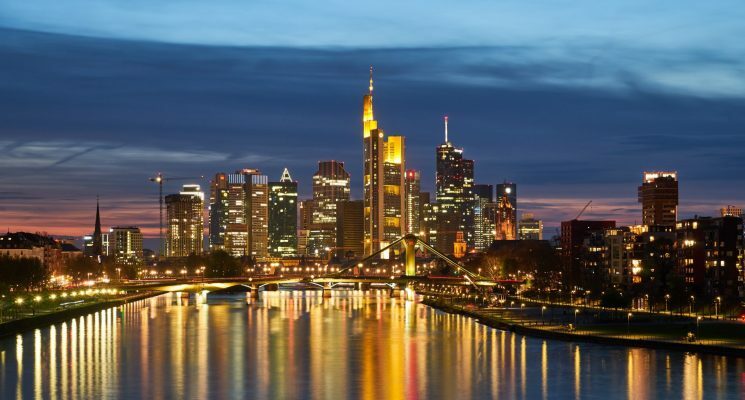 The Opera House, Gewandhaus concert hall and the city’s best shopping streets (Petersstraße, Grimmaischer Straße and Hainstraße) are only a short walk away! Offering twin, family and dorm rooms, this Leipzig hostel maintains a fantastic standard of cleanliness that guests are super happy about, making it a great hostel for any kind of traveler! The staff are always willing to lend a hand, and they’re always available as the reception is open 24 hours. Meininger’s guest facilities include a kitchen, laundry, secure lockers and luggage storage in case you need to check out late. A breakfast buffet is set up every morning, so you can enjoy fantastic coffee and energize yourself for the day. There are plenty of communal areas for socializing in, and board games/puzzles and televisions are available if you feel like chilling out at any time. Meininger’s cleanliness standard, convenient location and helpful staff definitely make it one of the best hostels in Leipzig! So if you’re looking for a centrally located, modern and friendly hostel in Leipzig then this one certainly won’t disappoint. Hostel Absteige is a vibrant and youthful hostel that’s ideal if you’re looking for a hostel with a social atmosphere and plenty to offer! Surrounded by restaurants, cafes, nightlife, and the park at the canal – you won’t have to venture far to keep yourself entertained. 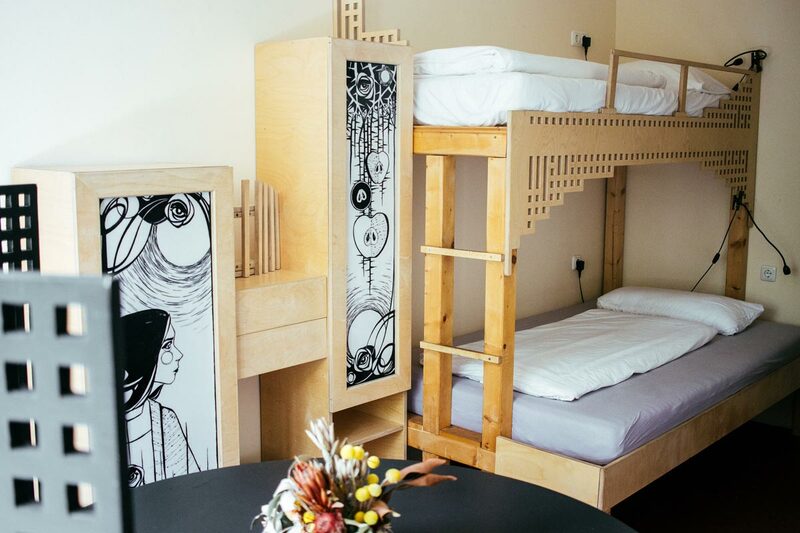 This hostel offers dorm rooms for 4-8 people at very affordable prices! Located between the centre of Leipzig and the southern town quarter, Hostel Absteige is in the perfect place for discovering what the city has to offer. The southern quarter is popular with students and young people, particularly in the summer, so there is always a crowd to be found partying or hanging out in the park. Access to public transport also means that you can reach all of Leipzig’s main attractions in the city centre easily. This sweet Leipzig hostel recently opened a restaurant and bar area downstairs, which provides the perfect environment to meet with fellow guests and swap travel tales over a glass of wine. 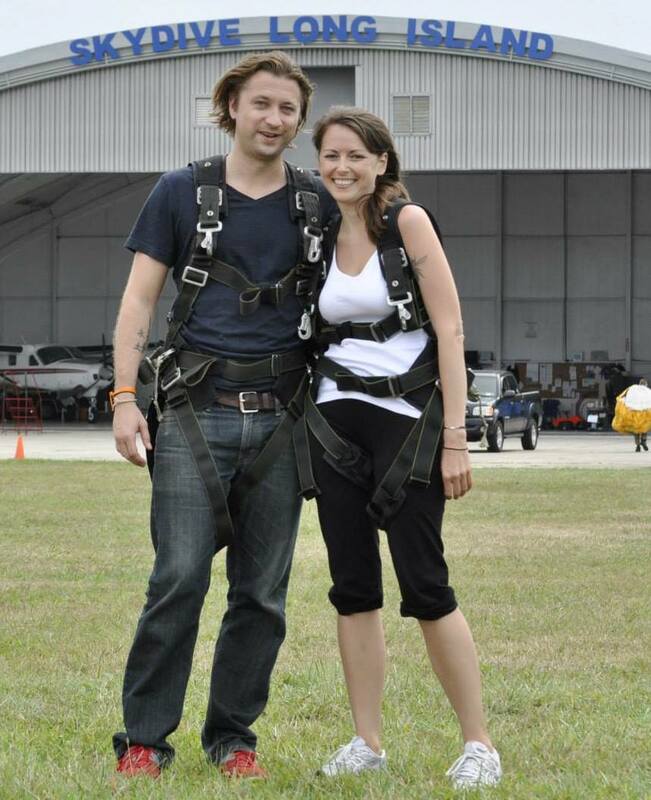 They sometimes organize group events/parties, so ask to make sure you don’t miss out! There’s also a stunning outdoor garden where they serve beer and BBQ food, the perfect way to relax after a hard day of exploring! If you want suggestions about what to see and do around the city, don’t hesitate to ask the friendly staff who are always happy to help. All of the above combines to make Hostel Absteige one of the best hostels in Leipzig! And there you have it guys, the best hostels in Leipzig, Germany. We hope we helped you narrow the choices down a bit. Enjoy your visit to this cool city! As always happy travels and we’ll see you on the road! Disclaimer – We have included a few handy little affiliate links in case any of our readers want to book accommodations. We receive a small commission for any sales made, without any additional cost to you, our dear reader. Big thank you to Hostel & Garden Eden for hosting us while we were in Leipzig. As always our opinions are completely our own.